Today I’m going to show you a lightweight bike touring setup that you can use for local bike tours near your home; for cycling across an entire city, state, or country; or for cycling all the way around the world. What you’re seeing in the video above is a Co-Motion Pangea touring bicycle equipped with front and rear fenders, three water bottles, a rear kickstand, two Ortlieb Bike-Packer waterproof panniers, and a waterproof Ortlieb handlebar bag. Want To Continue Reading/Viewing This Content? After you sign up for the Bicycle Touring Pro video course, you'll become a member of the Bicycle Touring Pro community and you'll get online access to every article, video and podcast I've ever made. You'll also get access to a private "Members-Only" Facebook page where you'll learn the secrets to bike touring success from the world's leading bike travel expert: Darren Alff - the Bicycle Touring Pro. Already signed up? 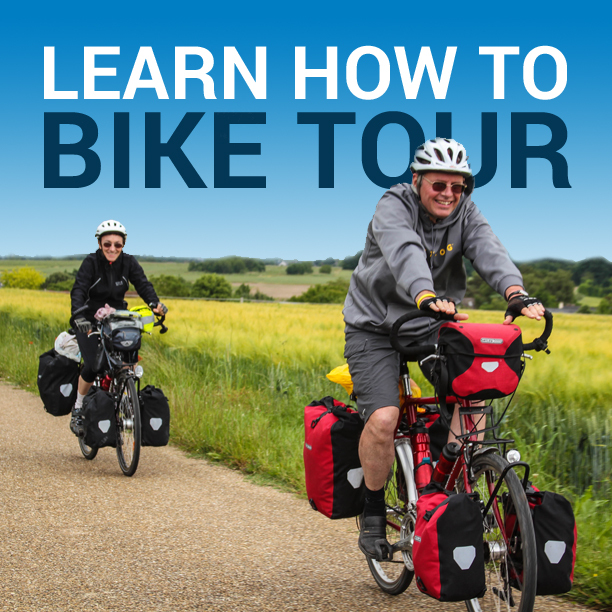 If you've already signed up for the Bicycle Touring Pro video training course, simply enter your username and password in the box below and then click "Log In." 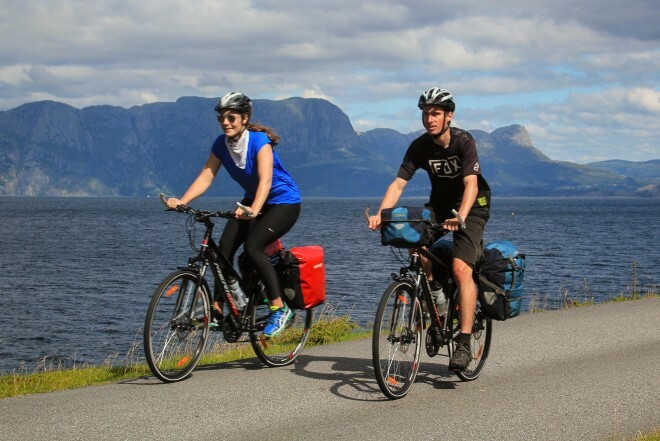 As soon as you do, you'll be given immediate access to this rest of the information on this page, as well as all the other articles and videos inside the Bicycle Touring Pro video training course. This entry was posted in Bicycle Touring Pro Articles, Featured Articles, Featured How-To Articles, Main Articles, Members Only - Video Course, Planning, Videos and tagged bicycling gear, bike tour packing list, bike touring gear, cycle touring gear, lightweight bicycling gear, lightweight bike setup, lightweight bike tour, lightweight bike tour packing list, lightweight bike touring, lightweight cycle touring, lightweight touring bicycle.